The Centers for Disease Control and Prevention (CDC) has granted $20 million to 16 states in an effort combat the growing number of deaths due to prescription drug overdoses. The Prescription Drug Overdose: Prevention for States program is part of the Department of Health and Human Services' Opioid Initiative and builds upon the CDC's Prevention Boost and Core Violence and Injury Prevention programs, which went into effect in 2014. "The prescription drug overdose epidemic requires a multifaceted approach, and states are key partners in our efforts on the front lines to prevent overdose deaths," said Health and Human Services Secretary Sylvia M. Burwell. "With this funding, states can improve their ability to track the problem, work with insurers to help providers make informed prescribing decisions and take action to combat this epidemic." Over the next four years, each of 16 states will receive between between $750,000 and $1 million in funding to implement aspects of prescription drug overdose prevention programming. States include: Arizona, California, Illinois, Kentucky, Nebraska, New Mexico, North Carolina, Ohio, Oklahoma, Oregon, Pennsylvania, Rhode Island, Tennessee, Utah, Vermont and Wisconsin. The states were selected as part of a competitive application process. Additional money to expand the program to all 50 states has been requested in President Barack Obama's 2016 budget. Prescription opioid use has increased drastically across the United States in the past 16 years. The number of prescription opioids sold nationally quadrupled between 1999 and 2013. Coincidentally, the number of deaths due to overdoses of prescription opioids also quadrupled during the same time period. In 2013, 16,000 Americans died from a prescription drug overdose, while 8,000 died from heroin overdoses. The number of heroin overdoses in 2013 represents a three-fold increase from 2010. "The prescription drug overdose epidemic is tragic and costly, but can be reversed," CDC Director Dr. Tom Frieden said. "Because we can protect people from becoming addicted to opioids, we must take fast action now, with real-time tracking programs, safer prescribing practices and rapid response. Reversing this epidemic will require programs in all 50 states." Other initiatives the CDC has funded include the Prevention Boost State Program, which maximizes drug-monitoring programs and evaluates policies that work in the five states with the highest prescription drug abuse: Tennessee, West Virginia, Kentucky, Oklahoma and Utah. Among other things, Prevention Boost created a Medicaid opioid therapy management program to help chronic patients stop using prescription opioids as well as efforts to link monitoring data with Medicaid data to help identify patients at risk for abuse and overdose. 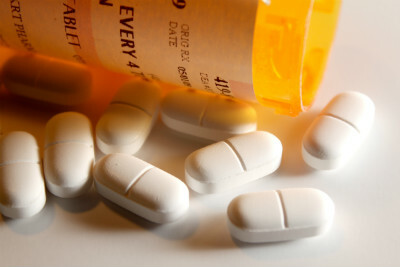 To combat prescription drug overdoses, the CDC has also provided training and education for health professionals who prescribe prescription opioids, supported the continued development and distribution of naloxone and expanded the use of medication-assisted treatment, which offers prescription drug users both medication and counseling services.